Successfully Added 6.2-inch Color TFT with Touch Screen + USB/ SD/ MMC Slot to your Shopping Cart. 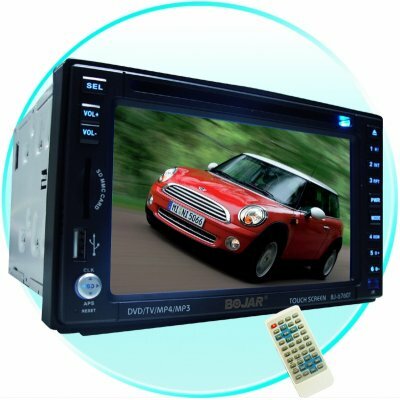 Direct from China is this beautiful 6.2-inch High Color TFT Screen Car DVD Player with touch screen ability, USB and SD/MMC card Slot, and built -in a built in TV, FM/AM tuner. It is a full car entertainment center with 4x50W sound, anti shock, and CDC disk control for the optimum digital movie experience in your car. Buy this for your own car, or sell this great wholesale item, sure to bring a very high profit margin..